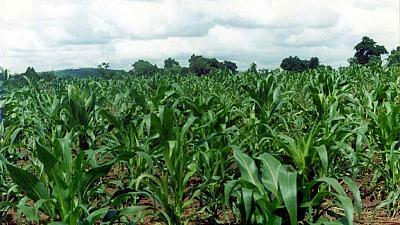 A maize garden: The EA region is leading other African regions in agriculture development. Despite some progress, technical and vocational education and training (TVET) institutions in Africa are still too theoretical and are not providing the real skills needed by the agricultural sector, according to experts attending the recently concluded Sixth African Higher Education Week and Regional Universities Forum for Capacity Building in Agriculture (RUFORUM) Biennial Conference, held in Nairobi, Kenya. TVET programmes remain overly theoretical and “academic” with the result that most employers look to develop the required skills “in-house” or are actively developing private or commercial TVET institutions, according to Richard Hawkins, a senior adviser for the International Centre for Development-Oriented Research in Agriculture, who spoke during a plenary session on skilling African youth. “Employers consistently claim that TVET graduates do not have the practical skills needed. For example they don’t know how to milk a cow, much less run a dairy farm,” said Hawkins. An expert said that most countries in Africa had up until recently focused on developing universities as the main focus of higher education, to the detriment of skills and TVET development. “Too many TVET institutions and colleges have become universities. TVETs should not aspire to be universities, the types of education delivered by each should be recognised as different, for different purposes, and incentivised accordingly,” he said. In some countries of Africa, where the governments had developed a TVET legal framework which recognises TVET as a powerful catalyst to address youth unemployment in the country, there was still “negativity” towards the idea of TVET. “There is an urgent need to demystify this myth that TVET is for the failures and those who didn’t qualify for admission to universities. In fact, more awareness is needed to educate people that TVETs are meant to consume the research from the universities and transfer it to the societies. Therefore there is no competition between universities and TVETs,” he said. Hawkins also highlighted inadequate training of TVET instructors. “While occupational standards and curricula are increasingly in place, instructors often have not themselves been trained to deliver a practically-oriented, competency-based programme. TVET instructors are typically educated in universities, in academic, theoretical programmes. They are not familiar with CBET educational programmes,” said Hawkins. He said universities can play a role in developing instructors for TVETs. Only Ethiopia has a specialised ‘TVET university’ – the Federal TVET Institute – which is also in charge of implementing the country’s TVET education system. “Many universities have educational institutes or departments, which focus on secondary education. Further indigenous development of the notion of competency-based education and training and its integration and relation to academic education would also be a valuable contribution of African universities,” said Hawkins.